Youth Concert Orchestra (YCO) is a full-orchestra experience (the first of its kind for many students in the group). 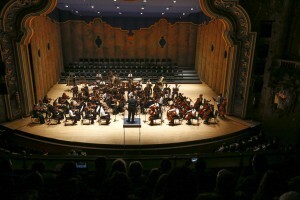 Players generally move into YCO with experience playing in other string orchestras or wind ensembles. Listening, blending, and making music within the full orchestra setting is a challenge met by all students in YCO. In this ensemble, principal players learn what it means to effectively lead a section and all players learn to play together with unity, passion, precision and musical excellence. Students refine musical skills by performing original masterworks, arrangements and pops favorites.